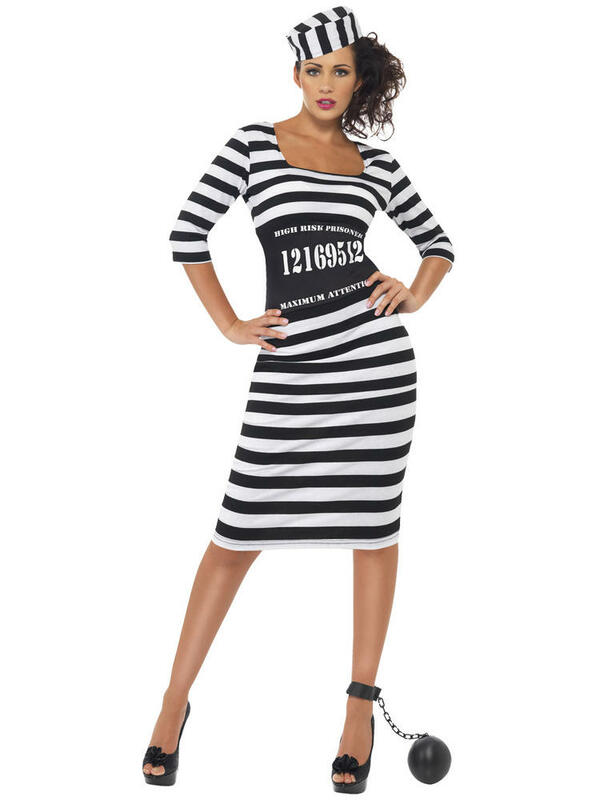 Transform yourself into a Prisoner with this Ladies Classy Convict fancy dress costume. 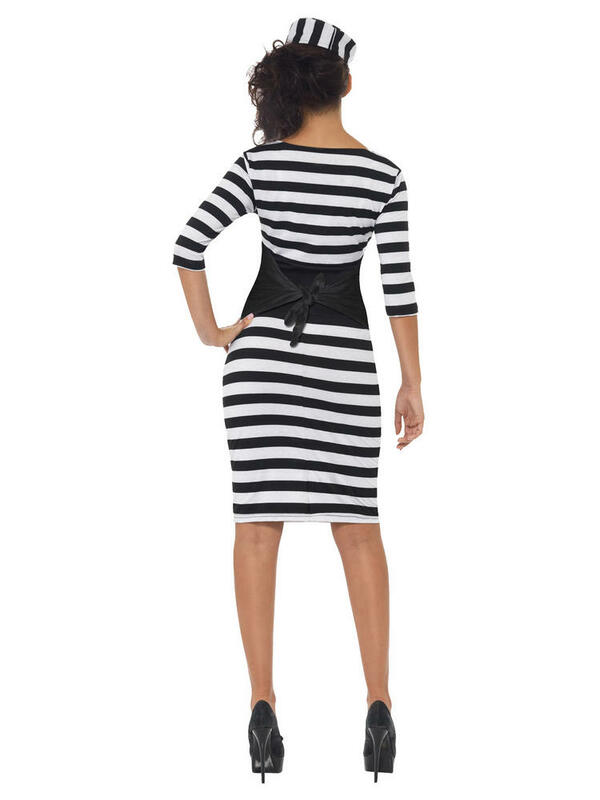 Includes a black and white striped midi dress with scoop neckline and 3/4 length sleeves. 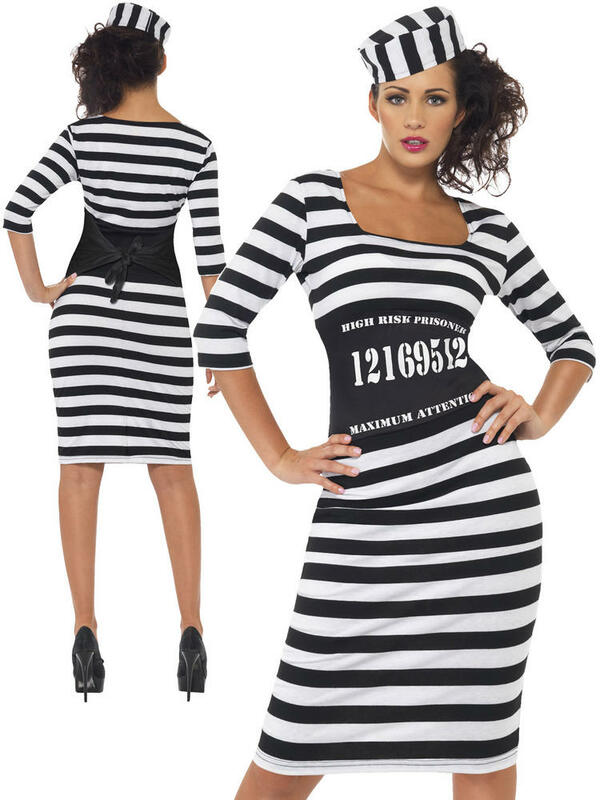 To complete the outfit is a black waist clincher which ties around the back and a black and white striped hat.